Fatwah n. a spiritually instructive opinion, usually given as the answer to a question about religious law. 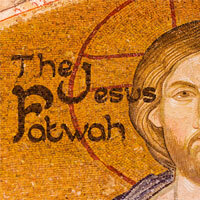 When asked to name the greatest commandment, Jesus issued a fatwah: “Love God with every fiber of your being and love your neighbor as you love yourself.” Living the Questions is proud to introduce our newest DVD series, “The Jesus Fatwah,” a dynamic 5-session program that takes Jesus’ admonition to love our neighbors as we love ourselves seriously — even (and in these tense times, especially) if that neighbor is Muslim. “The Jesus Fatwah” is an engaging catalyst for conversation about resisting the Islamophobia that is rampant and, in many segments of our society, growing stronger. 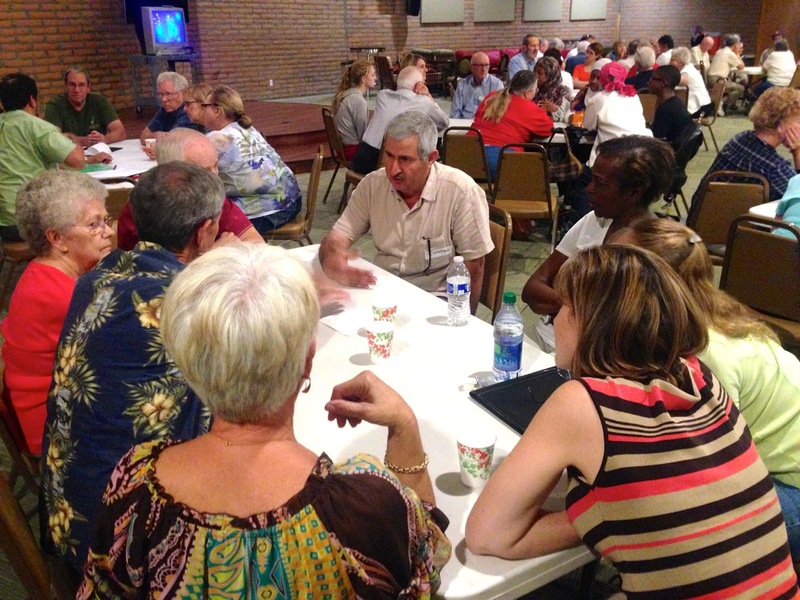 With nearly 20 Muslim and Christian contributors and a helpful participant guide written by author and pastor, Rev. Ben Daniel (author of The Search for Truth About Islam: A Christian Pastor Separates Fact from Fiction), “The Jesus Fatwah” is a perfect vehicle for educating those unfamiliar with Islam about the basics of the faith and how, as followers of Jesus, we are compelled to reach out in love to our Muslim neighbors. The downloadable participant guide includes discussion questions to maximize your group’s experience. Help stem the rising tide of Islamophobia with the newest DVD curriculum from Living the Questions! It’s in that spirit that we are thrilled to introduce a new DVD curriculum from Living the Questions: The Jesus Fatwah: Love your Muslim Neighbor as Yourself. With violence and mayhem on the rise in the Middle East and public opinion of Islam plummeting, this is a critical time in both international affairs and for the day to day lives of Muslims everywhere. Much of what passes for information about Islam is weed-like disinformation rooted in ancient stereotypes and watered by fear — and disseminated by a multi-million dollar industry bent on stoking a growing Islamophobia. In LtQ’s new The Jesus Fatwah series, both Islamic and Christian scholars offer reliable information about what Muslims believe, how they live out their faith, and how we can build relationships across the lines of faith. CLICK HERE to see a complete listing of the contributors. Along with five half-hour sessions on one DVD disc, a downloadable participant guide and discussion questions are provided to foster both conversation and action. Written by the Rev. Ben Daniel, author of The Search for Truth about Islam: A Christian Pastor Separates Fact from Fiction, the participant guide lays out succinct conversation topics which are then expanded on by the video-based contributors. CLICK HERE to see a list of the program themes. In an age of increasing Islamophobia, we believe it’s especially important for Christians to take Jesus seriously and love their neighbors as they love themselves — especially the Muslim ones! 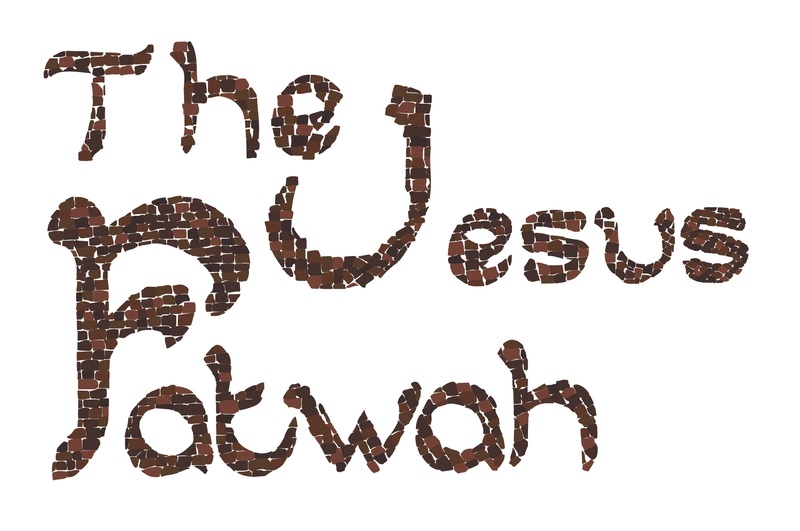 The Jesus Fatwah can help you and your faith or discussion group begin the process of discovering who Muslims really are, what they actually believe, and how we can work together in working toward a world at peace. Be one of the first to receive this important new series by pre-ordering today! Order NOW through September 30th via the Living the Questions Website to receive our Special Pre-Publication Discount Price of $79.00 (plus shipping/handling). Save $20 over the regular price of $99 (plus shipping/ handling). There is no coupon code to enter. Through September 30th, the discounted price will automatically be given at checkout. Click Here to Place Your Pre-Order TODAY! Anticipated Release Date: September 2014. Attention International Customers: This product is only available in NTSC format.Please verify that your DVD player can read/play NTSC formatted DVDs prior to ordering.